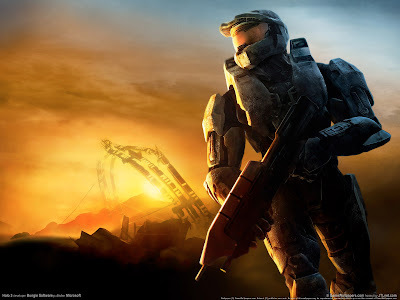 The Monthly Ten Podcast #15 - Halo Anniversary-a-Thon! Celebrating a beloved franchise's tenth anniversary! On November 15th, the wildly popular Halo videogame franchise will be celebrating its tenth anniversary. 343 Industries is celebrating by releasing an HD Xbox 360 remake of the original game, but here on The Monthly Ten Podcast, co-host Sean Chapman and I are commemorating our favorite video game series with a massive, awesome podcast! We have three – count ‘em, three – killtacular top ten lists for you this month. In the first, we count down the Top Ten Weapons in the Halo Universe; in the second, we look at the Top Ten Missions (Levels) in the Halo Campaigns, and finally, The Top Ten Multiplayer Maps from across the entire series! Lots of great Halo memories are shared, including Sean's epic story of betrayal and destruction on firefight! This is one my favorite podcasts we’ve yet recorded, and it’s essential listening for Halo fans! Enjoy the show!